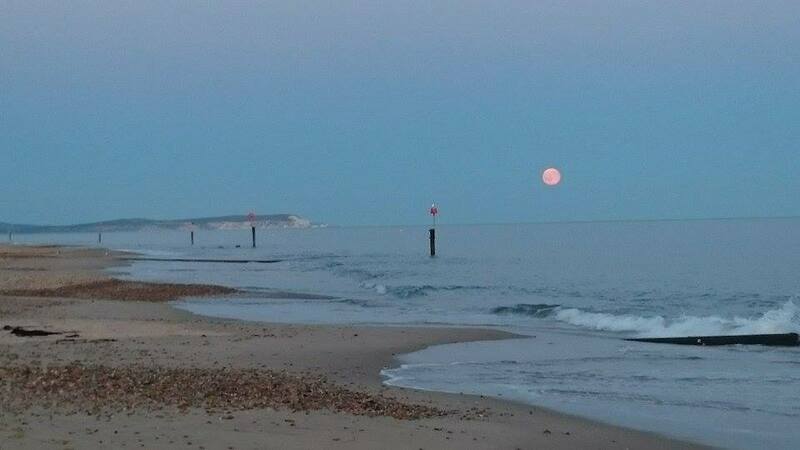 Southbourne is one of those fishing marks that we rarely hear about. Hopefully this article will shed a bit of light on this great mark. On a rare occasion midway through the week the sun came out and the wind dropped away to a whisper. With the calm warm summer evening the conditions screamed sole. I decided on fishing Southbourne, an area well known for producing sole. 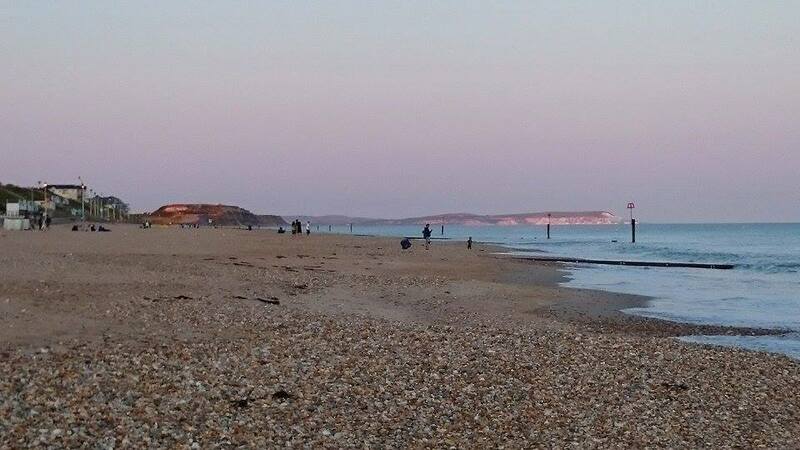 Southbourne beach can be found by driving through Bournemouth town and past its pier and on past Boscombe pier along Boscombe spa road it spans from Boscombe pier to Heingisbury head. The best of the sole fishing can be found all along the esplinade that runs along the beach. Conditions looked good. Especially as the high tide coincided with dusk and darkness. My favourite time of the day to fish. I chose to fish the section by the bistro on the beach. An area I had never fished before. I arrived at around 7pm to find the beach packed with holiday makers and various beach activities going on! 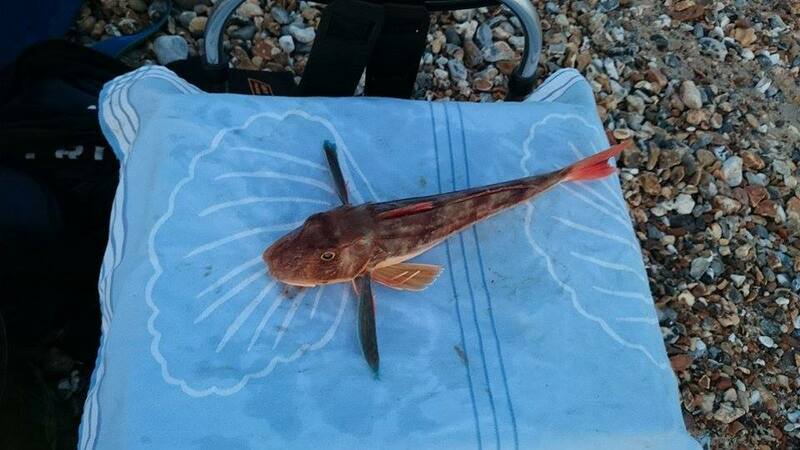 I set up near one of the groynes and decided to try a bash at catching a Turbot or Gurnard on Mackerel while I waited for darkness and to fish for sole with ragworm and small hooks on a paternoster rig later in the evening. For the turbot I fished an up and over wishbone rig with half a mackerel fillet cut lengthways. I blasted this rig as far as I could and to be honest I didn’t expect much!After about two hours and no bites I started contemplating switching over rigs to fish for sole. The left rod baited with Mackerel bent over slowly and stayed bent over! Sometimes this can happen when there is lots of weed about.But so far I had no weed so I picked up the rod and lifted into a heavy weight! I heaved in the heavy load and about halfway in the weed suddenly came to life! 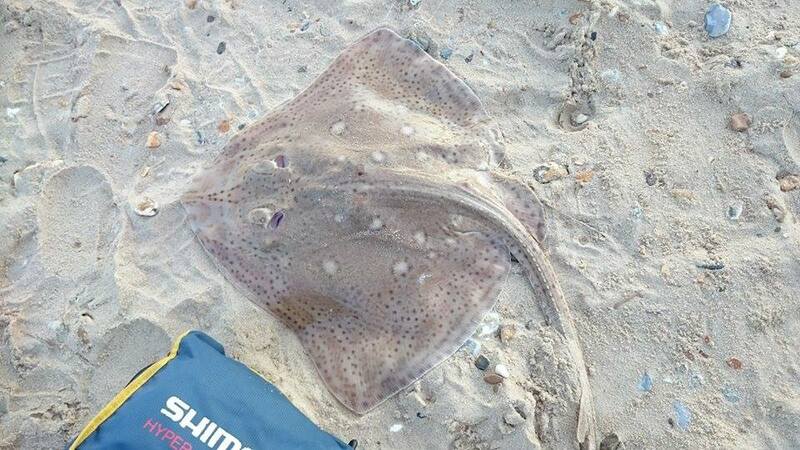 Backing off the drag I eased into a classic fight from a good ray and after a few good thumps I slid a reasonable small eye ray up the beach. Upon landing the ray an angler fishing on my right came up and offered to take some pictures. The guys next to me explained they were fishing in a gulley that runs parallel with the beach at the end of the groyne. This is where most of the bottom dwelling fish can be found.Patrolling up an down it looking for food. Another lesson learned. After posting a couple of pictures of my ray to a few mates, the feedback suggested that the small eye ray was in fact a blonde ray so poor species identification on my part! But happy days as it’s a specimen for that beach! 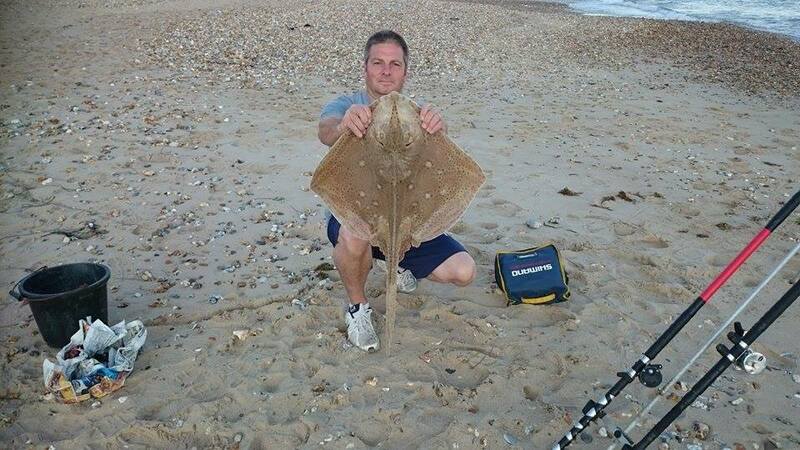 Southbourne will continue to fish well for Rays ,Plaice, Gurnard, Sole and smaller Turbot right through the summer months and would be my number one venue for the next few weeks! School bass are still being caught in and out of the harbour. The mullet are showing everywhere now around the harbour with some monsters cruising around the twin sails area. The Purbecks offer safer fishing now with calmer evenings and the bigger Rays, Conger and Bass can be found on all the rugged Purbeck marks. I’m still available for guiding to these areas at the weekend and offering midweek guides in the harbour and surrounding areas in the evening. 6 Responses to "Fishing at Southborne"
Southboune is a great place to fish it gets very crowded at weekends. The British record plaice came from that area and on its day can produce some nice codling. Just wish it was a shingle beach rather than all that sand!!! I know how you feel colin. I made the mistake of dropping my new akios multiplier in the sand there. Not very impressive. for years i regarded it as a shallow barren wasteland , but it does have the potential to surprise, some good fish to be had and some variety in the summer/ autumn. fish it in the rain and you’ll regret it as on other sandy beaches you’ll end up bringing half the beach home lol. Fishing is slow at the moment.sea temperature is too low.only 14 degrees last night 2nd july 2016.hope for better weather. Then fishing will pick up. Hey, interesting article. I’m fairly new to living at the coast and typically do coarse fishing. Any suggestions on getting started with beach casting? Even knowing what fish to keep/ put back is going to be an adventure! !